Piso Laminado con Instalacion Empesando a $1.99 el Pies Cuadrado! 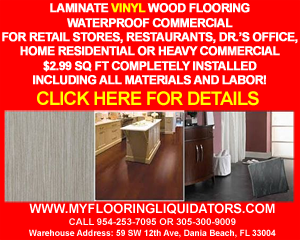 As a leader in the laminate wood flooring industry, The Flooring Liquidators provides a wide variety of services, installations, repairs, baseboard, and underlayment...as well as stripping, & sealing. Offering affordable, reliable, high quality products and services. Servicing clients from Miami and the surrounding areas to West Palm Beach. 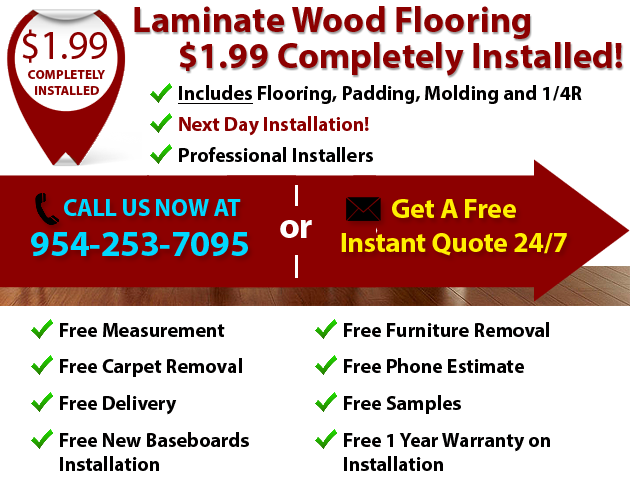 Trust us for all your laminate wood flooring, repairs and installation. 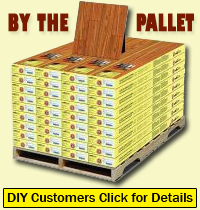 We provide a wide variety of laminate flooring available in different colors and styles. 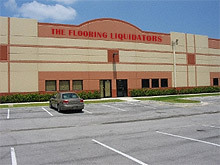 My Flooring Liquidators deals with many professionals such as designers, contractors, suppliers, manufacturers, builders and decorators. Our brand name flooring products are manufactured in the US and in Europe, which are quality made and safely stocked in our warehouses ready for pickup. In addition to Installation, we also offer Do-It-Yourself laminate wood flooring! It’s easy to install because of instant click-ins. We are a wholesale liquidator that has the purchasing power to make all flooring materials 100% in stock so clients can choose only the best products to satisfy their flooring needs. Our service focuses on complete installation of flooring products, wood floor repair, replacement, baseboard, underlayment, floor padding, molding, as well as stripping, sealing, sanding, staining and varnishing for wood and bamboo floors. For delivery and warehouse pickup, we are proud to serve residential and commercial clients from Miami, Fort Lauderdale, Hollywood, Dania and Palm Beach, FL, as well as other local and international markets.